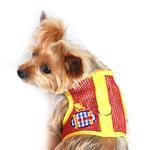 This Under the Sea collection Gingham Submarine Mesh Dog Harness features a fun summer design with a patch on the side. 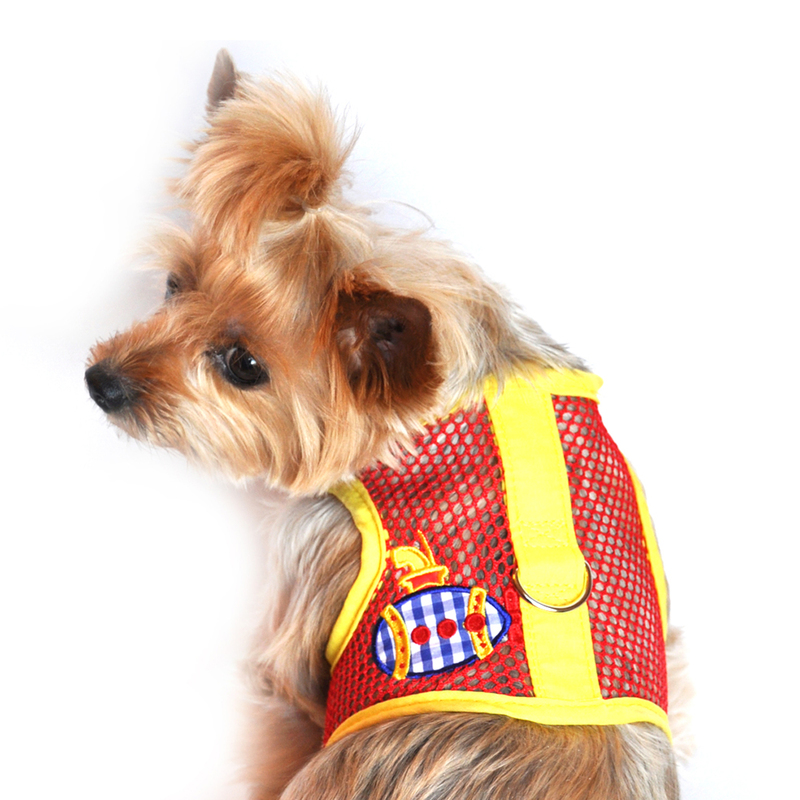 Your pup will feel like the King or Queen of the beach in these Doggie Design Cool Mesh touch fastener dog harness. Fashion meets function with tough wide-hole mesh held together by fun patterns. An attached d-ring to connect a leash makes this great for every dog. Large: Chest 19-21" Neck 15-18"
Gingham Submarine Mesh Dog Harness by Doggie Design - Yellow and Red Customer Photos - Send us your photo! Zoey trying on her new harness. We all live in a yellow submarine, oops mine isn't yellow. But there is yellow on it. This harness is so cool and comfortable. I get go excited to show it off. I look pretty good for 5 years. I have always been happy with purchases.